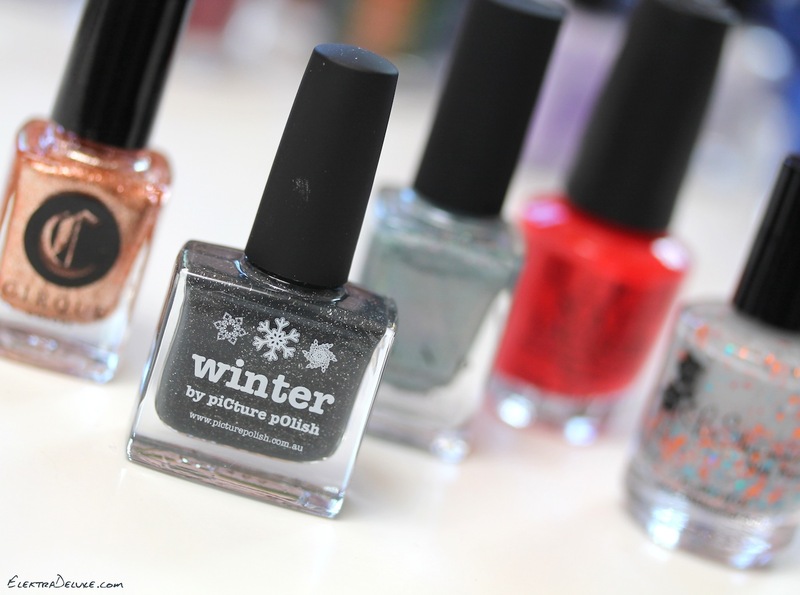 Today I have my favorite polishes of this winter to share with you! In general, I have been loving the extreme foil/metallic finishes which indie brands have perfected in the last months. I’ve become a magpie by now 😉 I’ve been also into grey and bright red lately. 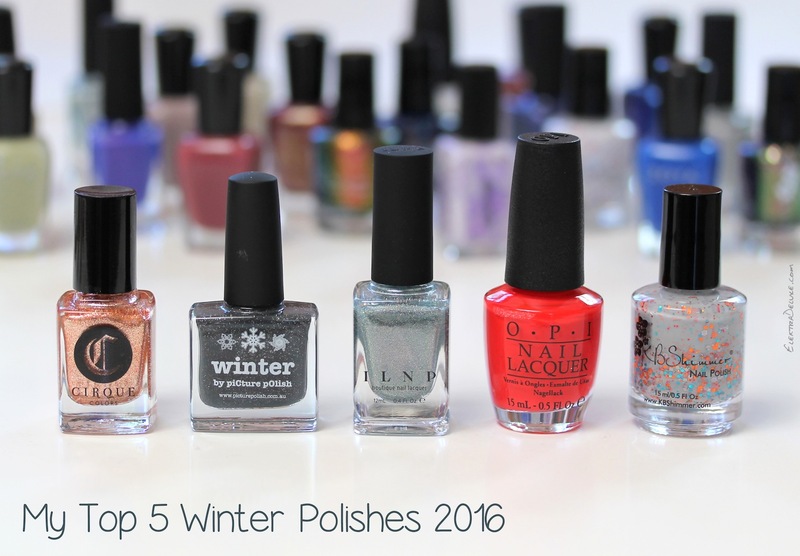 So here are my Top 5 picks: OPI Coca-Cola Red, Cirque Colors Halcyon, KBShimmer Smoke Signal, ILNP Top Down and Picture Polish Winter! 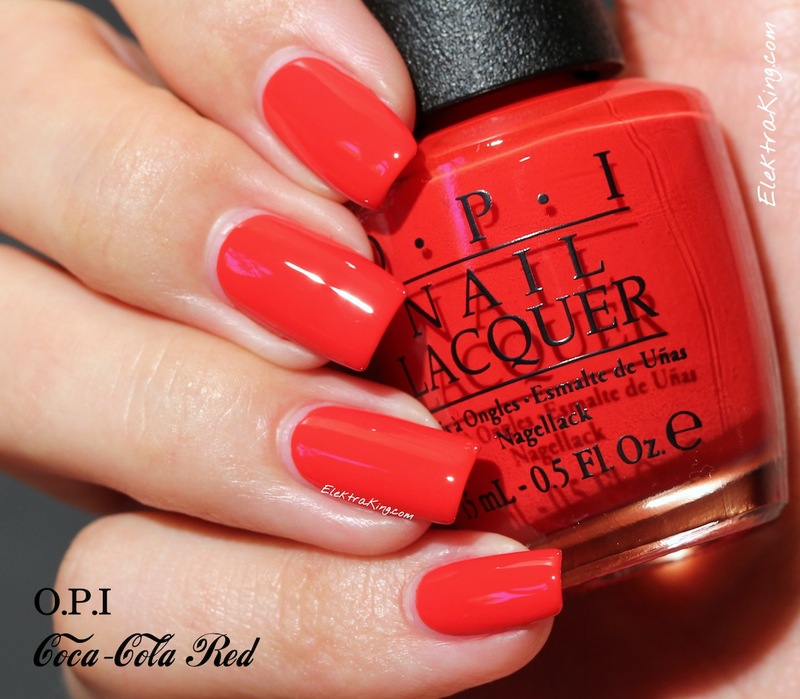 OPI Coca-Cola Red is a bright red creme. The polish was already released in summer 2014 but I recently realized that I have never included it in any of my Top 5 posts and it more than deserves it! 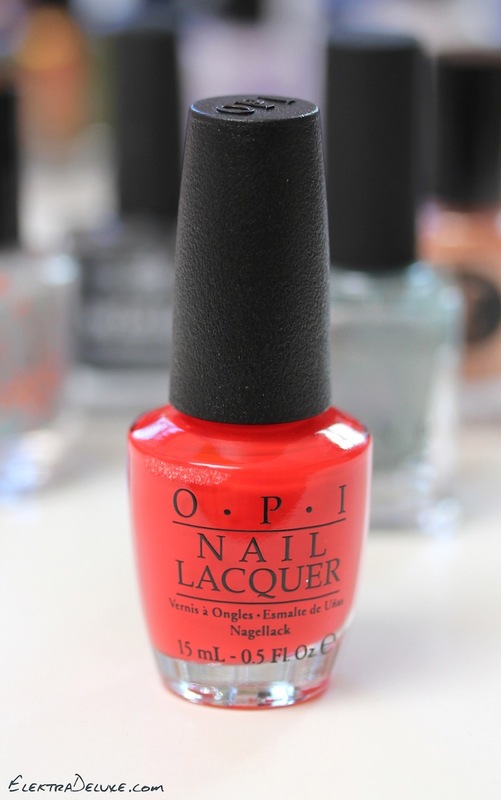 It is my favorite red of all times and I loved it for Valentine’s Day this year. The formula is flawless. I used 2 coats. 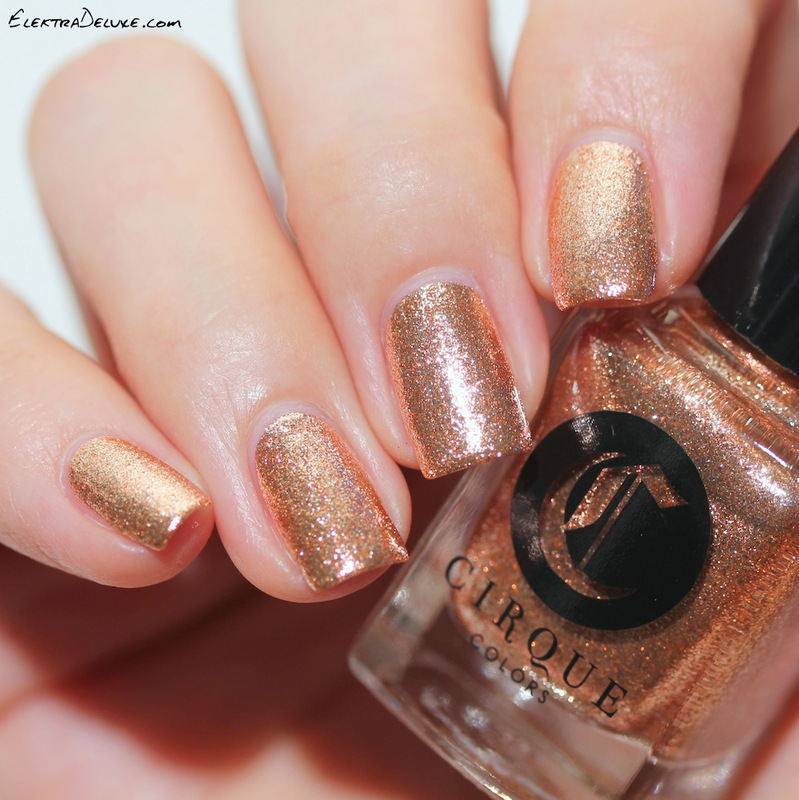 Cirque Colors Halcyon is a rose gold foil. 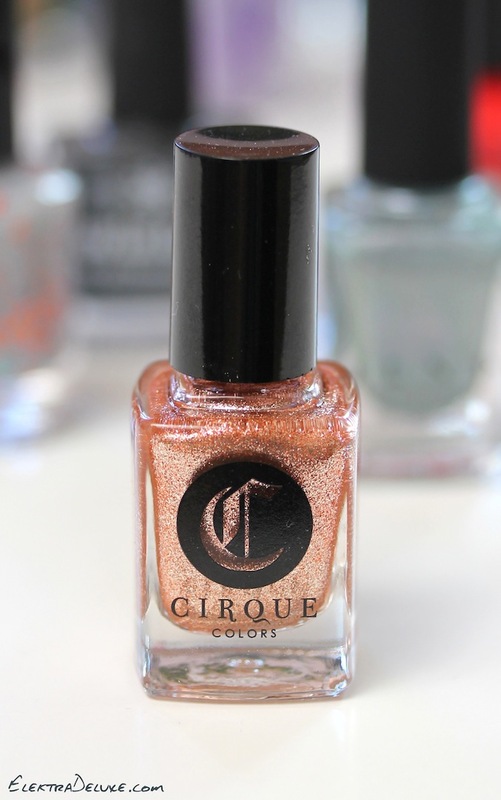 Although I feel like my skin tone doesn’t go that well with rose gold, I go crazy for this color. By now I have accumulated quite a respectable collection of rose golds and Halcyon clearly stands out. The foil effect is so intense that it even looks cartoonish in certain lightings. I applied 2 coats. KBShimmer Smoke Signal is a light grey crelly with orange, aqua and silver glitters. I’m a huge fan of light greys on the nails and combined with the pops of color it’s just divine! I applied 3 coats. 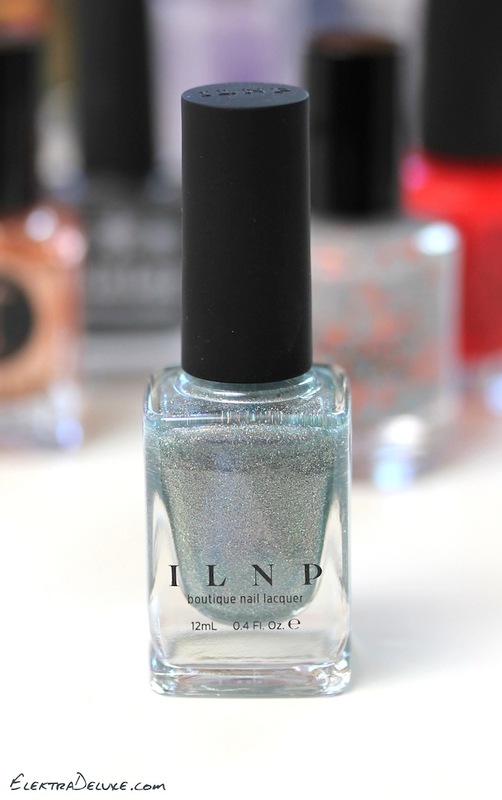 ILNP Top Down is an icy blue Ultra Holo. Whenever Christmas is over, I start wearing pastel blues because by that time of the year I’m already fed up with dark colors and an icy blue still has a taste of winter to it while already incorporating an outlook for spring. So I guess pastel blue is my go-to transition color from winter into spring 🙂 SuperChic Lacquer Cold Hands Warm Hugs was my choice last year and this year I am madly in love with ILNP Top Down. The color is so delicate and chic. I think it flatters most skin tones. I applied 3 coats for the picture. 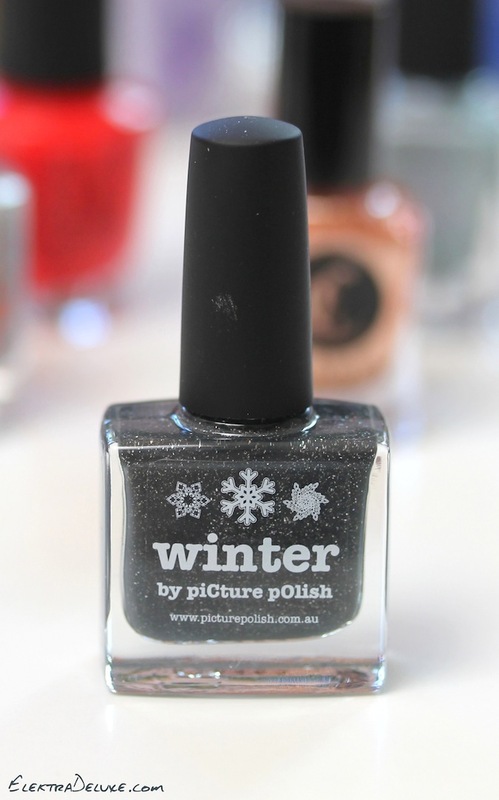 Picture Polish Winter is a dark warm grey with scattered holo particles. It’s such a great representation of the season! And on the other hand you can wear it all year round as a great dark neutral. The polish is very saturated and almost opaque in 1 coat. You’re looking at 2 in my pics.